For those that are not aware, Bundledocs fully integrates with NetDocuments document management solution. 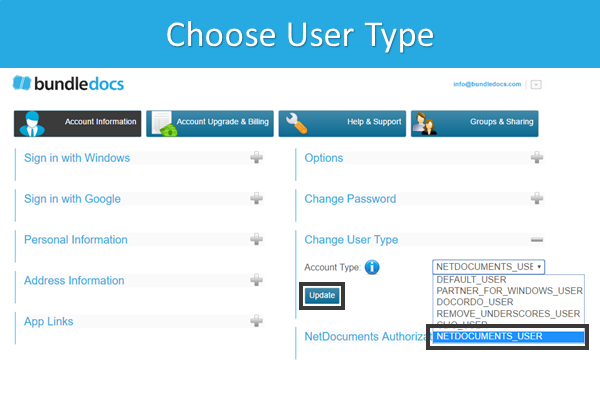 The NetDocuments Connector is available to all NetDocuments users and can be accessed directly within your Bundledocs account. Better still, we are delighted to offer our NetDocuments connector for Free. Our seamless integration with NetDocuments allows documents to be quickly and easily uploaded into your bundle. Once uploaded, Bundledocs takes over to automatically create a fully indexed, paginated, bates numbered, hyperlinked and bookmarked bundle. The completed bundle is immediately available to print, save or share - all in just 5 simple steps! 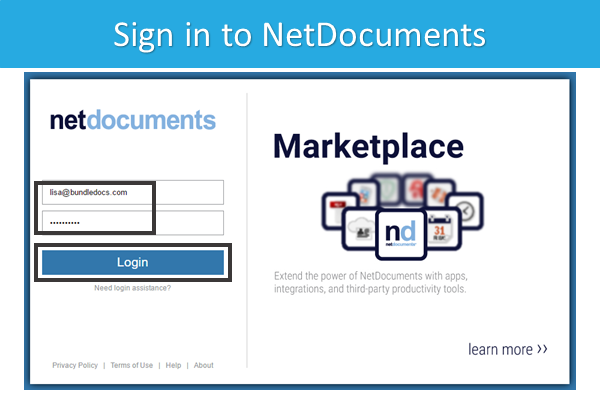 Interested to find out how to connect your Bundledocs account with NetDocuments. Take a look at these simple steps. Interested to learn more? Our dedicated team are here to help - we are happy to assist with any questions or queries you may have. Get in touch today!